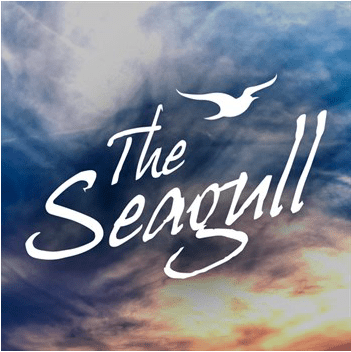 The Seton Hill University theatre department will perform “The Seagull” by Anton Chekhov the weekends of April 5-13 at the Performing Arts Center. Photo from SHINE. Seton Hill University is presenting Anton Chekhov’s 1895 play “The Seagull” the weekends of April 5-13 at the Performing Arts Center. The play is about famous actress Irina Arkadina (Christina Trocchio) and her celebrated lover, writer Boris Trigorin (Noah Telford), spending the summer on the country estate of Arkadina’s brother Sorin (Malcolm McGraw). Her son, Konstantin (Todd Griffin), an aspiring writer, wants to stage his play starring Nina (Anna Strauser), the woman he is in love with. It’s a play in which Chekhov “delicately paints a portrait of the complexity of family, searing, unrequited love and the power of art,” according to SHINE, SHU’s student engagement platform. Directed by Robyne Parrish and translated by Carol Rocamora, the show will be performed Friday, April 5 and April 12 at 8 p.m., Saturday, April 6 and April 13 at 2 p.m. and 8 p.m. and Sunday, April 7 at 2 p.m.
“It’s a work that mocks the 19th century aristocracy of Russia in an interesting way: by portraying them exactly how they were,” Telford said. “This whole play is essentially a Russian soap opera blended with a comedy, and that is what makes it unique and interesting.” Telford said it was an honor to be involved in the Russian classic because of its emotional and historical significance. Strauser said it’s a lot of character work, describing how the cast did a lot of Stanislavski’s physiological exercises, improving scenes before blocking, to get into character. She said it was interesting as she’d never done it before. A great deal of emotional intensity is shown throughout the play, and social issues including artistic liberty, relationships and class systems are addressed. Telford said he hopes the play will bring audiences to reflect on their own lives after seeing it. He also said it was cool seeing the cast grow throughout the experience, and how the talent and hard work that went into making the play has made it a truly wonderful production. Tickets for SHU’s upcoming performances can be purchased at the box office at the Performing Arts Center or online.